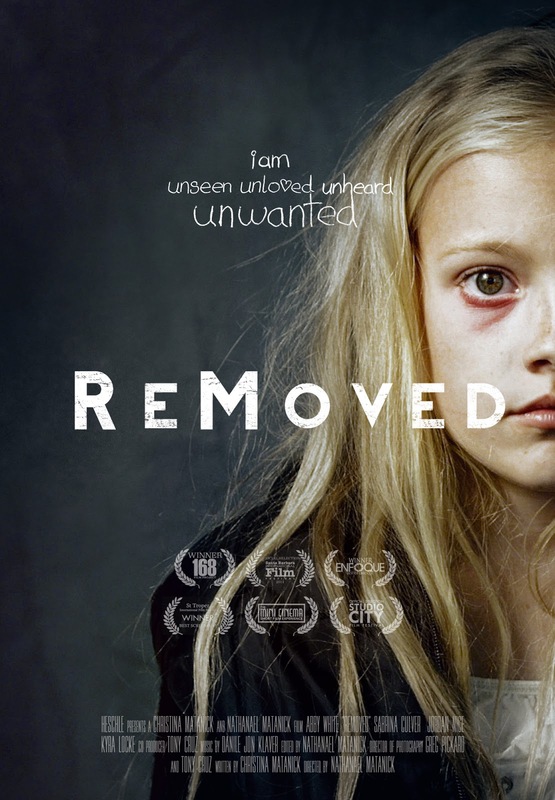 ReMoved follows the emotional journey of a nine-year-old girl --Zoe-- who is removed from her abusive birth home and placed in the tumultuous foster care system. This poignant short film provides insight on the experiences of many children coming from homes of abuse and neglect, and explores the emotion of it all through the child's point of view. How's this relevant to foster care and adoption? In only 13 minutes, ReMoved powerfully captures the emotional experience of a child in foster care. The filmmakers report that many people within the foster care and adoptive worlds, including social workers, CASAs, foster alum, foster parents, counselors, and adoptive parents have heralded ReMoved as one of the best pieces of literature depicting the experience of a child in foster care. The film is captivating and powerful. In a few short months, it has become a widely-used video in trainings for foster and adoptive families. The agency I work for uses it in trainings, as well, and my experience is that foster parents – and social workers – are often moved to tears as they are confronted with the pain and insecurity that a child experiences while in care. This is an excellent, emotional film that can help prospective foster and adoptive parents understand, at a raw, emotional level, the perspective of a child in foster care. Scenes of abuse, and sad scenes about foster care, could be difficult to see for children who are actively living it out. Conversely, though, some therapists have found the film a helpful tool for current foster youth. ReMoved comes highly recommended by agencies and foster care alum. It gets my high recommendation for foster families, friends of foster families, and people considering foster care. It will also be valuable to some youth in foster care; parents may want to screen the film first. ReMoved, part 1, is available to see for free online. Here’s the full film. How is Zoe's story similar or different from your own? Did you expect the ending? How did it make you feel? What emotions did she have to process, and what finally helped her experience begin to change toward being hopeful? Is it possible to use this film for presentations to businesses and churches? We are trying to get help for foster children and foster parents in our area.. Thank you!! Yes, you can get a license to do so (and the download of the films) from www.removedfilm.com or you can stream it online there also.